On Wednesday Maruti Suzuki India launched a shorter version of its entry-level sedan Maruti Swift Dzire. The real wining thing for this model is its introductory price which ranges between Rs 4.79 lakh and Rs 7.09 lakh. Available in both petrol and diesel options this new model being a shorter in length qualifies for the excise duty of 10 per cent enjoyed by small cars as it is shorter than 4 metres. As per the Maruti Swift Dzire CS review the petrol version will be powered by a 1.2 litre engine, while the diesel one will have a 1.3 litre engine under its hood. For some who are looking that something extra an automatic transmission variant will also be available in the petrol version. The officials of the carmaker have informed that this model involved lot of investment and the company along with its vendors have invested more that Rs 230 crore for the new Swift Dzire CS. But for consumers the new Maruti Swift Dzire CS will be cheaper by Rs 25,000-Rs 30,000 than the older version. The prices of the petrol variants of the new DZire range between Rs 4.79 lakh and Rs 6.54 lakh, while the diesel ones will come for Rs 5.80 lakh-Rs 7.09 lakh. Though coming at a lower price the new DZire has at least 150 new features compared to the existing one. 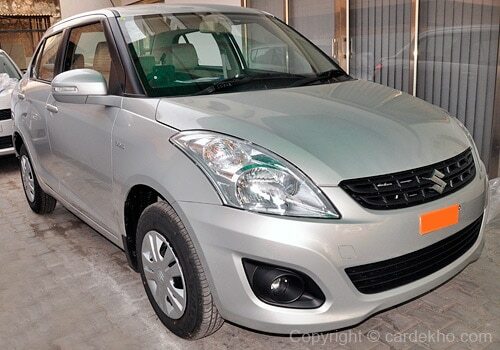 Those who may be wondering what company has in store for the existing model, it may be interesting to know that the company will continue to produce the old DZire in some specific variants like the base model to target the fleet segment. Also it may be of interesting to know that the new sedan will be produced at MSI's Manesar plant which trying to recover the lost ground this year after it was hit by a series of labour unrest last year.